Successfully Added High Speed USB 2.0 Hub - 7 Ports With On/Off Switch, 5V, 480Mbps, Windows Compatible (Black) to your Shopping Cart. 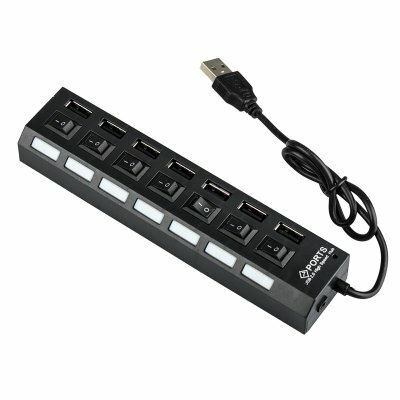 The High Speed USB 2.0 Hub comes with 12 months warranty. Brought to you by the leader in electronic devices as well as wholesale USB hubs, Chinavasion..
this product is very nice !